← When Your Child Will Only Nap On You. 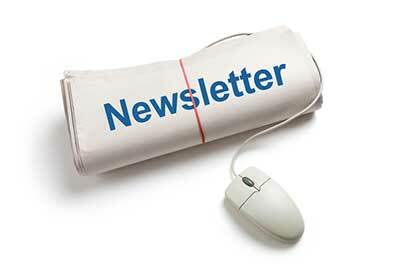 Gentle Parenting is a parenting style gaining increasing followers and headlines. Alongside this heightened awareness however comes increasing misconceptions and misunderstandings. In this article I would like to consider what I believe the top ten myths surrounding gentle parenting, and hopefully correct them a little. 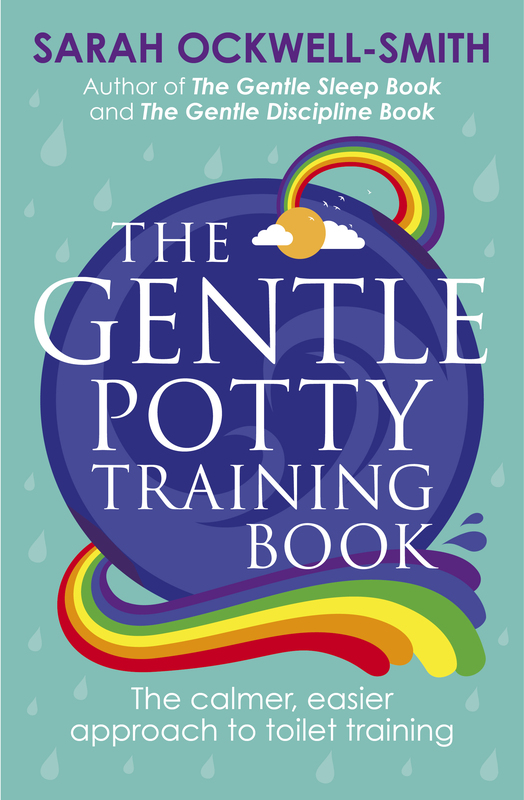 I spend a lot of time in The Gentle Discipline Book talking about what discipline is (in short – it means teaching, in this case teaching our children) and what it isn’t (smacking, popping, tapping, naughty steps, time out, sending to their room, grounding etc..). Modern western society believes discipline and punishment are one and the same. They are not. There are many ways to teach children that don’t involve punishing them, or making them feel bad. In fact the most effective discipline makes children feel good. It inspires them to do better, rather than shaming them. The best teaching methods are inspirational and uplifting, ask any teacher. Why would we ignore decades of research on how children learn best? 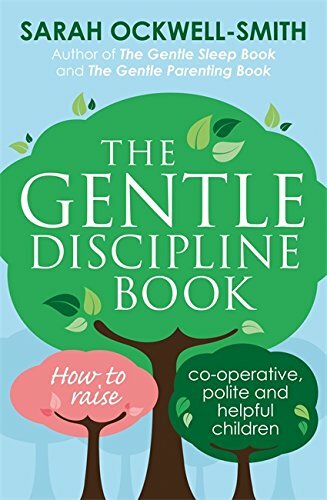 Gentle discipline focusses on exactly this – teaching children why certain behaviours are not appropriate and teaching them how to do better. How do we do this? Mostly by being a great role model, after all the best teaching comes from teachers students aspire to be. Is this all we do? No, often we will use appropriate consequences, particularly natural and logical ones, rather than the illogical consequences (aka punishment) used in mainstream discipline. 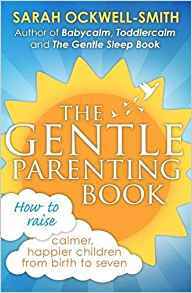 For more on consequences used in gentle parenting check out this article. We have boundaries and we enforce them. I would actually say gentle parents discipline more than any other parents. This really follows from point one above. In gentle parenting the children are perceived to ‘run rings around their parents’. The parents are seen as passive and permissive, letting their little darlings do anything they want. This is not true. Gentle parenting is a dance of control. What do I mean by that? I mean it is a partnership and one that changes fluidly, sometimes one partner leads, sometimes the other. When it is appropriate, gentle parents like to give their children control. Giving control as much as possible allows children to fulfil their need for autonomy and independence and stops unwanted behaviour that commonly occurs when a child is desperate for more control over their lives (the most common control seeking behaviours are issues with eating, sleeping and toileting). Things that gentle parents may give control over include allowing the child to choose their own clothing (after ensuring that it is weather appropriate), regulate their own eating, controlling their own pocket money and how it is spent and taking control of their own play. Things that gentle parents don’t give children control over include crossing roads, touching objects that don’t belong to them (particularly if they are fragile) and complete free range over how they spend their day, especially if there are important appointments to attend. Gentle parents are believed to allow their child to have and do whatever they want. This is not true. Criticisms say that they “indulge their children too much”. Mainstream parents commonly believe that children are out to bleed their parents dry emotionally, energetically and financially. Right from the off they believe that babies are manipulative, crying to get their parents ‘at their beck and call’, they believe toddlers are ‘showing off to get what they want’ and believe that teenagers only sulk ‘because they want attention’. Common discipline methods here all involve ignoring the child. This is mistakenly believed to create a less demanding individual. In truth, all ignoring does is make the child keep their feelings to themselves, they don’t go away, they just stop displaying them. Gentle parents simply allow their children to always show their needs and when possible they respond to them. A crying baby, a tantruming toddler and a sulking teenager are perceived to all be showing one thing: a need for connection. Gentle parents would try to support their children and their needs. They would try to help their children to feel better by not ignoring them. If this is deemed indulgent, then so be it, but what a callous world we now live in. Gentle parents just try to remove a little of that callousness in their own family. Ah, the demographic judgement. Gentle parenting is hard work, I’ll give you that. In fact any parenting is hard work. Throw in a job, a handful of children and a teenager and it gets hard, really hard. In fact there are days when we all think “I just can’t do this anymore”, but we get back up and we keep on going. Gentle parents seek to better themselves, but aren’t martyrs. They know when they need a break and they allow themselves to be ‘good enough’. I have full-time job and four children, two of whom are teenagers. I’m not superwoman, thousands of people are in my position and we all manage to parent gently. Yes, it is far easier when you don’t work and have only one child, particularly if that child is a baby or a toddler, however at the time it doesn’t feel easy. As your children grow, so do you. You learn together. As a parent to teenagers I have to say I can’t imagine following any other style of parenting, because it just simply doesn’t work when they are bigger than you. Teenagers don’t like stickers and you can’t intimidate them, or force them to sit them on a naughty step. The teenage years are often when mainstream, harsh discipline based parenting starts to unravel. I believe this is why the teenage years have such a bad reputation. I absolutely love being a parent to teenagers, we have a great relationship and I put that down to all of the years of gentle parenting investment. Gentle parents are all hippy, bleeding heart liberals. They all breastfeed until their children are in school, that’s if they send them to school at all (for the record I did the former, but my kids are all in school). I think I’m pretty mainstream, in my lifestyle and my looks, as are thousands of gentle parents. Some are the opposite and that’s what makes it so wonderful – there is no special ‘person specification’. You can have rainbow hair, or spend thousands per year on brazilian blowdrys. You can be vegan, or eat steak every day. You can home-educate or use mainstream school, breastfeed or formula, you can wear tie-dye, Primark or Boden (I personally rock all three, often at the same time). Atheist, Christian, Muslim, Pagan – religion is irrelevant. So is age, sexuality and political leaning. One thing I have noticed, is that there is far more diversity (and acceptance of it) amongst gentle parents and surely that is an amazing thing to teach our children? 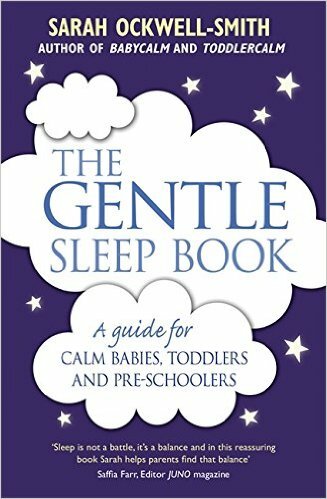 Gentle parents are commonly perceived to ‘stifle independence’. They don’t leave their babies to cry at night, so some believe they are “not teaching them to self settle” (read here for why this creates nothing of the sort), they don’t push their toddlers into nursery if they aren’t ready (though thousands do go happily – but the key is in working at the child’s pace) and they allow their children to slip into their bed at night if they are scared or anxious and need a hug. Sometimes they stay in the parental bed for several years, sometimes they pop in once or twice per month. The key is that the attachment always occurs as a result of the child’s cues. When the children are ready to detach, gentle parents open their arms and watch them fly. Independence always starts with dependence, you can’t force it to happen. It happens when children have had their needs met and as a result feel confident enough to walk out into the big wide world alone, knowing that if they need them – their parents are there for them. Gentle parenting creates, not stifles, independence! “….but real life isn’t all hearts and flowers. Real life is full of disappointments and demands, rules and regulations.” Gentle parenting apparently ill-prepares children for life. A life where they will have to follow rules, not bend them. A life where they will have to endure harsh discipline. Why not prepare them for it now? Why not prepare them for better? I ask. Why raise a child to blindly follow rules that service nobody other than the elite when you can raise them to question if there is a better way? Why raise children to ‘accept their place’ when you can raise them to aim for higher? Why raise children to accept the bigotry and hatred of society when you can raise them to try to change it? Does this mean you are raising rebels? No, it means you are raising thinkers. Thinkers know when questioning is appropriate and they know when to keep their head down. Thinkers understand respect, respect for others and themselves. They know when to respect boundaries and rules (after all they have respected their family’s rules for years). Gently parented children are empathic, they understand how others feel and when certain behaviour would be inappropriate. They know when they can rock the boat a little and when they should leave it be. This is one of the saddest criticisms I’ve ever heard. Why? Because it mistakenly presumes you can spoil a child with love. You cannot love a child too much. Ever. If you love a child as much as they need, you allow them to flourish. They become more empathic and more secure. Security and empathy are the keystones of respect and understanding. They create kind, confident and compassionate individuals, the very opposite of the shallow, self-absorbed spoiled individuals created by mainstream parenting. Why? Because when the child’s needs for love and emotional support aren’t met, they spend their life trying to fulfil them, some through constant unhealthy relationships, some with food, some with alcohol, some with drugs. Simply not true. What they do do however is to try to protect the child’s bodily autonomy. If children don’t want to kiss or hug a friend or a relative, gentle parents won’t force it (see this article for more). They understand that the ability to say “no, stop” begins in childhood. Of course they spontaneously hug, kiss and hold their children’s hands though, but if the child says “stop”, they do. Actually gentle parents probably allow their children to cry far more than mainstream parents. Crying is normal, it is a healthy way to release difficult emotions. As parents allowing your child to cry and supporting them when they do is the healthiest response. Our society is too full of dismissing tears. We say “stop crying, don’t be a baby”, “big girls don’t cry, “crying is for sissies”, “boys don’t cry”, “man up” far too much. We try to distract children from feeling and dealing with their own emotions and we wonder why they grow up to struggle with them as adults. Crying is not the problem here. When we discipline, gentle parents will often make children cry and that’s OK, because when they do we support them. Do we always revel in tears? Absolutely not, tears from a baby always need a response, whether it is day or night. Read more about crying in this article. To sum up, if people ask me to explain gentle parenting in a nutshell I always say the same “treating children how we would like to be treated ourselves”. To this day I don’t understand why it is so controversial, except perhaps that we don’t treat ourselves very well? This entry was posted in Babies, Mothering, Preschoolers, Teens, Toddlers, Tweens and tagged childcare expert, discipline techqniques, gentle discipline, gentle discipline book, gentle parenting, gentle parenting book, gentle parenting expert, how to discipline, natural consequences, parenting expert, positive discipline, positive parenting, problem with naughty step, problem with time out. Bookmark the permalink.